Closely-related Honda XR-V is also on its way. Guangzhou-Honda, one of the two Chinese JVs of the Japanese automaker, has launched the Honda Vezel compact crossover SUV in the country at a price range of 128,800 yuan (around INR 12.92 lakhs) to 189,800 yuan (around INR 19.04 lakhs). The Vezel for China gets a new alloy wheel design and a chrome insert on the grille. Interestingly, the Vezel will go head-on against the Honda XR-V, a slightly different version of the same car which will be built by the Dongfeng-Honda JV. The Vezel measures 4,294 mm long, 1,772 mm wide, 1,605 mm tall and has a wheelbase of 2,610 mm. Compared to the JDM Vezel, the China-spec model features a chrome element on the front grille and a different alloy wheel design. Inside, the dual-tone interior features black and orange finish instead of the Japanese version's full grey theme. The Vezel offers two petrol engine options - a 131 PS (129.1 bhp) 1.5-litre and a 165 PS (162.6 bhp) 1.8-litre unit. The engines are available with a 6-speed manual or a 7-step CVT. Both FWD and AWD versions are available. The interior is finished in a sporty dual-tone black-orange theme. 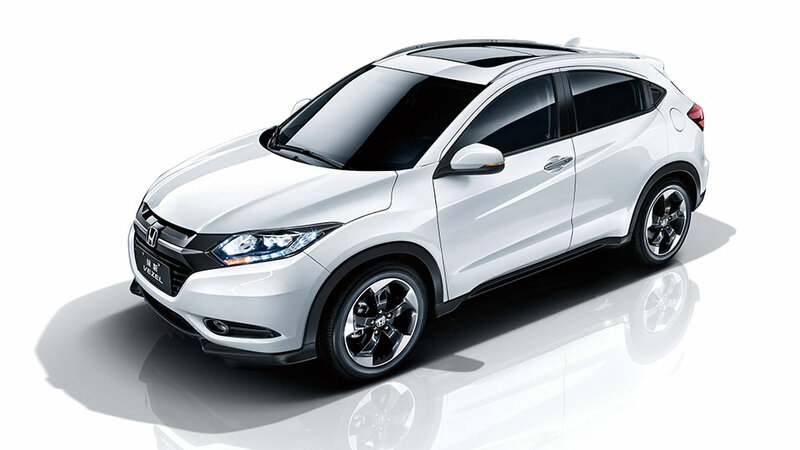 The company has revealed that it has garnered 8,000 bookings for the Vezel before the launch. The 1.8-litre variants are available immediately while the 1.5-litre variants will be delivered starting from the first quarter of 2015. The car is packed with LED daytime running lights, alloy wheels, sunroof, ABS, airbags, ESP, electronic parking brake, multimedia infotainment system with a 7-inch screen and so on. The Vezel competes with the Hyundai ix25, Ford EcoSport, Nissan Juke, Chevrolet Trax and the Peugeot 2008.